Adventure bikes have been on the rise for some time now. With more motorcyclists riding these off-road touring machines, they need the proper riding gear to match. One of the newest ways for adventure touring riders to protect their heads on their adventures is with the AGV AX9 helmet, which just launched in North America. The AX9 expands on the idea of the AX-8 dual sport helmet by being more touring friendly and very customizable depending on your riding style. 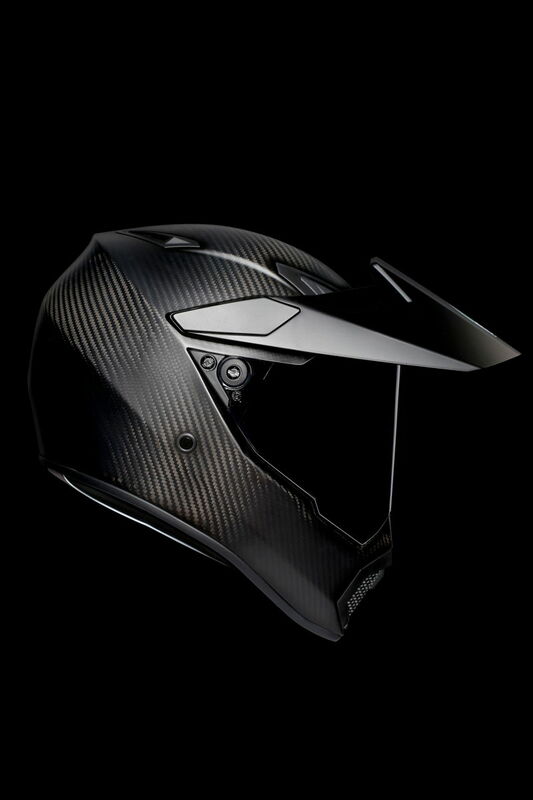 With a removable panoramic visor and adjustable peak, this helmet can be had in four different configurations. You can ditch the peak for better aerodynamics on the street and you can remove the face shield if you prefer goggles for off-roading. 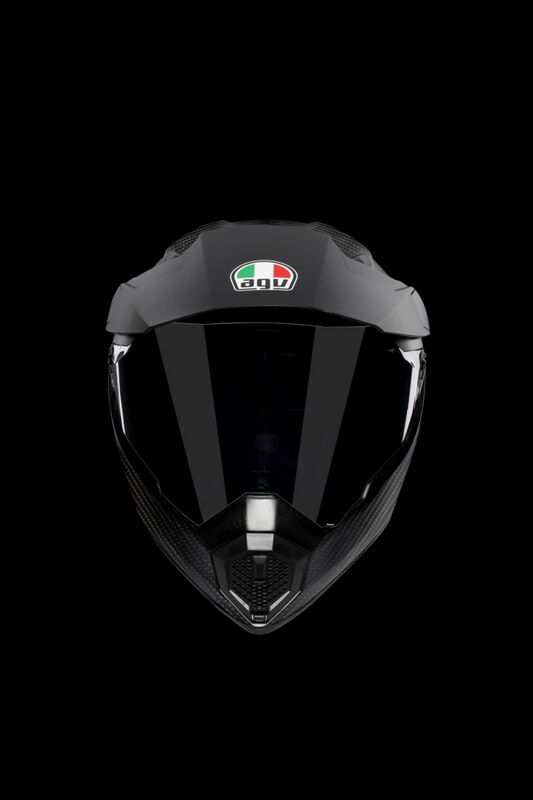 It joins the Sport Modular in AGV’s line of touring helmets with versatility in mind. While the Sport Modular is a street helmet, the AX9 is more suitable for off-roading while still being comfortable enough for long highway cruising. Lately, AGV has been using lightweight materials to cut the heft out of its helmets, and the AX9 is no exception. 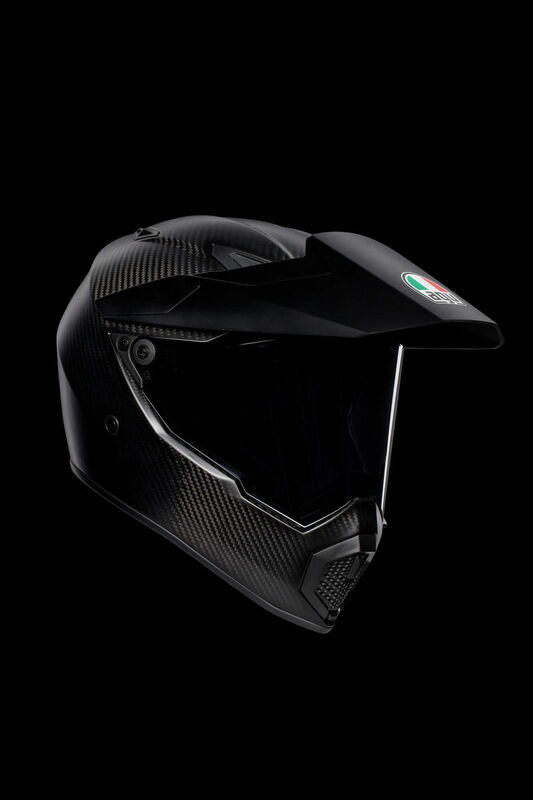 It has a fiber composite shell made from carbon, aramid, and fiberglass, and the result is a helmet that weighs just 3.5 pounds. Despite its low weight, it still meets AGV’s high safety standard and of course, it’s DOT and ECE approved. The AGV AX9 is available now in seven different designs. Solid colors are $499.95, multi-color designs are $549,95, and the matte carbon variant is $629.95. That makes it priced competitively with other premium adventure touring helmets on the market like the Arai XD4 and the Shoei Hornet X2.